We haven’t heard anything new about the multiplayer of Grand Theft Auto 5 for a long time, but today we are going to change this situation, having told you some fresh information about GTA Online. So, a few hours ago the interesting details about the upcoming Grand Theft Auto Online update appeared on the official project’s site. 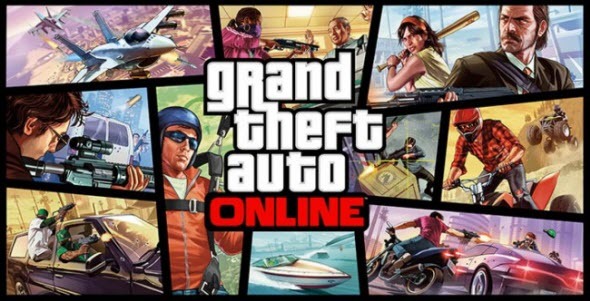 According to the information published on it, the next GTA Online update will please the gamers with fresh musical score in order you, dear friends, to be able not only to play your favorite action-adventure, but also to get an aesthetic pleasure. The upcoming GTA Online update will include the unreleased instrumental music from such artists and band as Tangerine Dreams, Woody Jackson, Oh No and The Alchemist. The soundtracks of the abovementioned singers will be available in Survival, Deathmatch and Creator Jobs modes. Unfortunately, so far there is no exact release date of this Grand Theft Auto Online update, but as soon as the developers announce it, we will inform you. So, dear gamers and connoisseurs, stay with us to keep abreast of the latest news. And what do you think about the upcoming GTA Online update? Did you like these soundtracks?